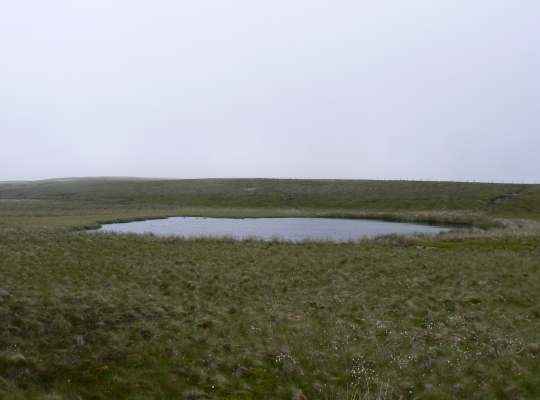 Cotter End Tarn is a medium sized tarn situated on Cotter End, the point where the long southern ridge of Little Fell tapers to the point where Cotterdale meets Wensleydale. I’ve only visited the tarn once, on a long walk including Great Shunner Fell and Little Fell. Unfortunately it was not the best of days weather wise and in places visibility dropped to a few feet. 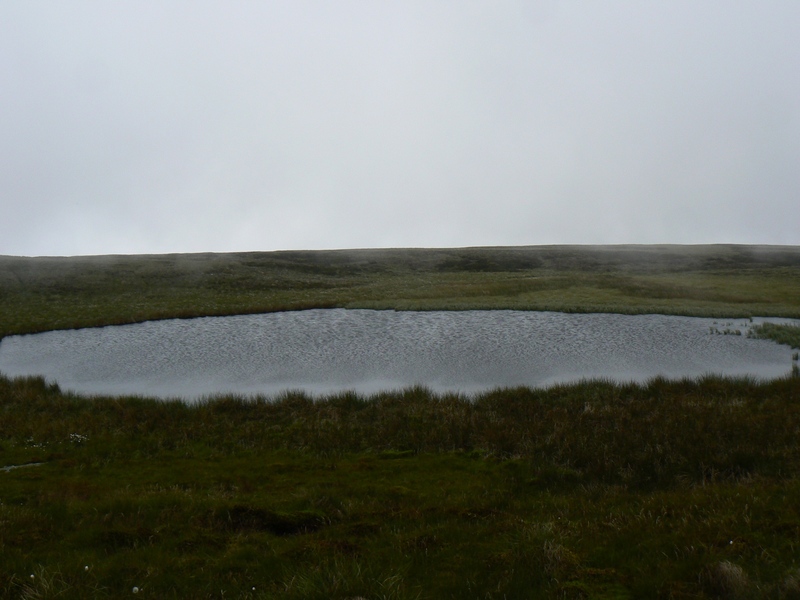 It had improved to fifty metres by the time I reached the tarn but it was still not enough to truly appreciate the surroundings. The main thing I noticed was the reeds and tufts of cotton grass surrounding the tarn. Cotter End Tarn is fairly easy to reach from either the Cotterdale to Blades path to the north or, even more conveniently, the High Way as it traverses the top of Cotter Side to the south.